You are here: Home / InsideOut Physio & Wellness Clinic Celebrates 10 Years in Bloor-Yorkville! Within minutes of meeting Jenn Howey and the team at InsideOut Physio & Wellness Clinic, it becomes clear there’s a unique energy throughout the practice. With one-on-one treatment rooms and a comfortable comradery amongst patients and the team, the space feels unique compared to its more traditional clinic counterparts. Leading with passion, integrity, and a deep respect for clients and her team, Howey has solidified the InsideOut home in Bloor-Yorkville for 10 years. 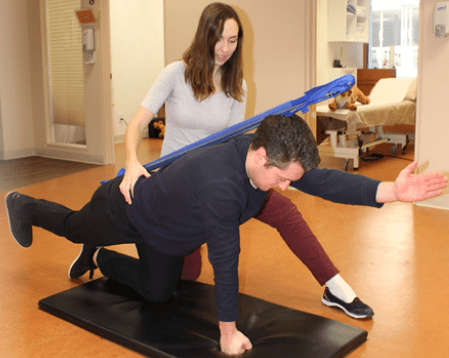 The multidisciplinary clinic is home to a variety of medical specialties, including physiotherapists, neuro-rehabilitation, kinesiology/rehab training, osteopathy, and acupuncture. Recently celebrating their decade-long Bloor-Yorkville milestone, the clinic expanded its space to include three more treatment rooms and a studio-like space to house Supervised Group Exercise, Bamboo Fusion/Tai Chi Yoga, Chair Yoga and other wellness-focused classes. 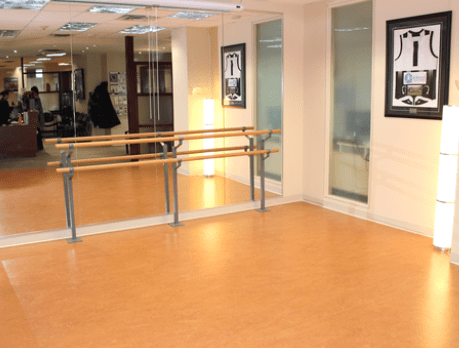 With 7 physiotherapists, a rehab therapist, and an osteopath on board, the clinic hosts a culmination of practices, offering highly-experienced therapists, who work collaboratively, to provide a well-rounded approach to treatment. The team also makes it a priority to host in-services every 2 weeks; the clinic is shut and the team meets for an hour to discuss everything from new education, comparative approaches to treatment, or to brainstorm treatment ideas with each other. All therapists are trained in acupuncture, allowing them to ease swollen joints or quickly release a muscle. Instead of waiting for a referral and subsequent treatment, patients can quickly move forward with their appointments. The synergy between therapists and services offered, allows for the densest treatment options per visit, resulting in fewer visits overall for patients. Noting that clients make an experience out of coming to the Bloor-Yorkville area, stopping for lunch or to go shopping after treatment, the clinic feels less like a chore and more of a health-focussed destination. Jenn also notes that being in Bloor-Yorkville, her clients appreciate quality in their one-to-one care and they’re willing to put in the work towards getting better. As InsideOut heads into its 10th year, the team has a number of exciting developments on the go. Particularly interesting is the supervised exercise class, in which groups of 5 clients at a time can visit the clinic to practice their therapist-prescribed exercises. 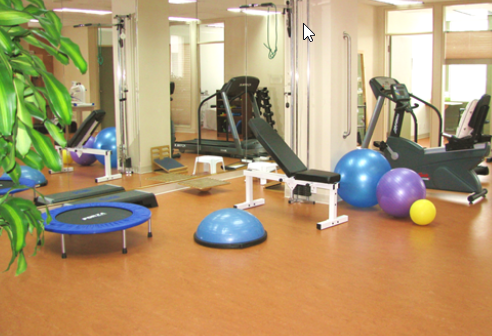 Austin, the on-staff rehab therapist, ensures clients remain in good form, making the most of their time and efforts. Additionally, the new roster of classes speaks to clients who may not be able to attend a regular gym, but could greatly benefit from strategic movement; clients can take the personalized skills learned in-house and apply them outside of the clinic. Learning one’s limits and how to exercise safely is something Jenn says is an important part of their class programming. The small classes (up to 8 at a time) ensure both instructors and clients can work effectively. In the new year, InsideOut is launching a perisurgical program focused on knee surgery. With extensive knowledge of post-surgical knee treatment, Jenn and the team have worked with many surgeons on developing safe pre- and post-surgery care programs designed to safely push clients to their full potential. Jenn Howey’s forward-thinking nature is fueled by truly loving what she does. While she admits the new expansion can be nerve-wracking at times, it’s clear she believes in herself, her team, and the potential of her clients. On behalf of the Bloor-Yorkville BIA, we’d like to congratulate the team; we can’t wait to see what the next 10 years bring! You can learn more about the clinic and the services offered or visit them at in person at 1240 Bay St, Suite 502.